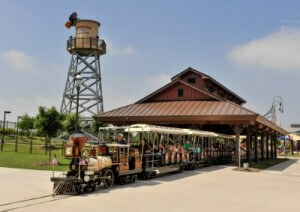 The Twardowskis take us deep into the southern heart of Texas this week to show us a novel accessible amusement park. 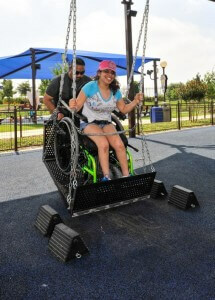 Deep in the heart of Texas, there's an amusement park designed to include people of all abilities. 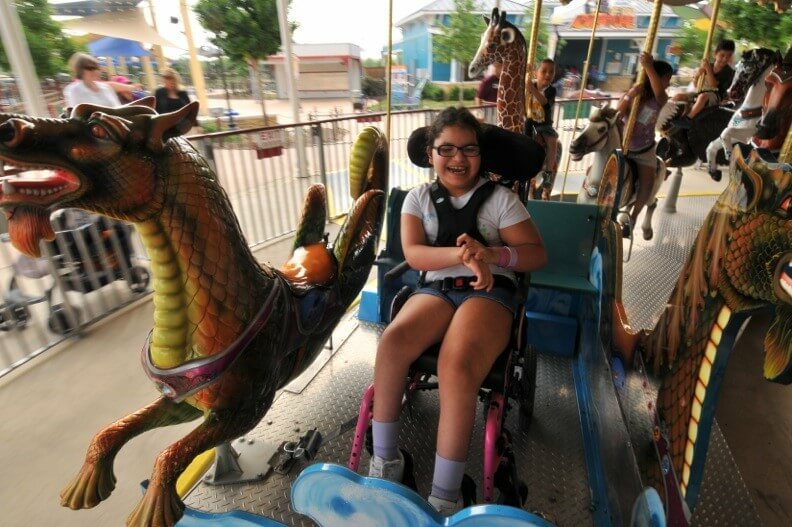 Conceived and created by a dad, who dreamed of a place where his own daughter could feel comfortable playing, philanthropist Gordon Hartman built the first ultra accessible amusement park: Morgan's Wonderland in San Antonio. The park is named for Morgan, who has physical challenges and cognitive delays. Before building Morgan's Wonderland, Hartman consulted with people who have disabilities, care givers, physicians, and physical therapists. "Morgan's Wonderland is a special place where anyone can have fun," Hartman said, "but it was created with special-needs individuals in mind. We've taken an abandoned rock quarry and transformed it into an outdoor recreation oasis for those with cognitive and physical challenges." Completely wheelchair accessible, the 25-acre park includes attractions, rides, playgrounds, gardens, an 8-acre lake, 18,000 square foot special events center, 575-seat amphitheater, as well as, picnic and rest areas. The clang, clang of a miniature train attracts the attention of a little boy who is dragging his Mom to the 1930s style depot. The Wonderland Express, which accommodates wheelchair users, circles the lake. Some of the riders wave to the families casting fishing poles and steering remote-controlled toy pirate ships at the wharf. Kids become race car drivers at the Off-Road Adventure where eight cars ride along a guided track (wheelchair users are passengers). Parents snap pictures of their children on the carousel's whimsical animals. The custom-made dragon with a specially designed platform allows the passenger to go up and down while remaining in his own wheelchair. Over in the Sensory Village, inquisitive kids push shopping carts down the aisle of a miniature grocery store and ring up purchases on a cash register. There is a fierce storm brewing in the TV station, where kids become meteorologists and forecast the weather. Two little boys are "riding" horses in the "stable." There's even a simulated drive through the streets of San Antonio in the Fix-It Shop. Children are laughing with delight as animated butterflies gather on their arms in the Paramount Theater. Outside, children slide, jump, and bounce on the colorful Butterfly Playground with a rubberized surface and extra wide space allowing two wheelchairs to share the space. A variety of swings are located throughout the park. Even those in motorized wheelchairs can feel the exhilaration of flying as they swing. The Music Garden includes nine oversized instruments for kids to pluck and strum. Water rushes through large tubes, spinning wheels on a table top in the interactive Water Works station. The huge "bulldozer" blade is being loaded for work at the Sand Circle. Safety is a priority at Morgan's Wonderland. All guests are given a GPS Adventure Band with RFID technology to wear--allowing anyone in a group to be easily tracked. The wristband also enables guests to capture photos and email them to themselves. Admission prices to Morgan's Wonderland are affordable. Guests with special needs are admitted at no charge. Admission for children under the age of two is free. Admission for children ages three to ten, seniors ages 62+, and military personnel (active duty or retired presenting a military ID) pay $10, plus tax. Guests ages 11-61 pay $15, plus tax. Parking is free. Guests may also bring their own food and drinks (no alcohol is permitted). Morgan's Wonderland is closed in January and February. The park is open March through December with varying hours of operation. Check the websitewww.morganswonderland.com for details, before visiting the park. Guests from all 50 states and 49 countries have traveled to Morgan's Wonderland to experience this unique theme park. Hartman hopes to build even more accessible recreational facilities and recently announced plans are being developed for a water park near Morgan's Wonderland.